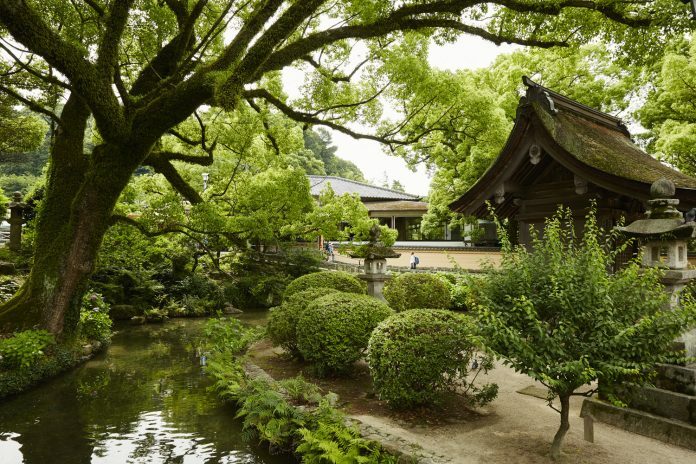 Dazaifu Tenmangu Shrine - Fukuoka, Japan (photo credit: Princess Cruises). These are the facts the Japan National Tourism Organization (JNTO) would like for you to keep in your back pocket when clients come in asking about a trip to Japan: There are flights to 18 cities from the U.S. to Japan with 70+ departures daily. Flight time from Los Angeles is 11 hours, and from New York it’s 13.5 hours. And when selling Japan, JNTO says, these are the four words you should keep top of mind: safety; hospitality; comfort; and cleanliness. Getting to Japan is easy, and getting around Japan on a land tour couldn’t be more seamless, but Princess Cruises wants you to think about selling cruising to Japan. It might not be the first thing that comes to mind when you think of selling a Japan vacation, but dig a little and you’ll find that a cruise around Japan actually offers an out-of-the-box experience for many travelers. They’ll have a chance to discover Taketomi Island, the site of a traditional Ryukyu village still preserved just off the shore of Ishigaki; they’ll explore Japan’s northernmost island, Hokkaido, where a variety of whales make their home; they’ll have the opportunity to grab a wicker basket and head to the fields for a hands-on tea-picking adventure in the countryside of Shimizu; and even take in the spectacular Awa Odori Dance Festival in Tokushima. Princess Cruises visits all of the main islands in the chain and the most popular ports of call; and the line calls at cities that contain UNESCO World Heritage Sites. 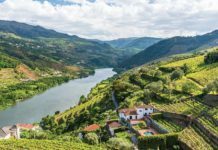 The line also states that it has the youngest fleet in the region, with the 2,670-passenger Diamond Princess, which offers nearly 740 balcony staterooms, and an entire deck of mini-suites. The Diamond Princess, whose maiden season was in 2004, offers Movies Under the Stars; the adults-only The Sanctuary retreat; the Lotus Spa & Fitness Center; and a steakhouse. Additionally, those who like to immerse themselves in a bit of local culture, can dine at the Kai Sushi restaurant and take a dip in the Izumi Japanese Bath. The latter is exclusive to the Diamond Princess and is said to be the world’s largest open-air bath at sea, with indoor and outdoor bathing areas. Additionally, while on board, passengers will also be able to enjoy a Kagami Wari sake ceremony; a Rakugo performance; and folkloric shows. But it’s the destination that is the real draw here, with many of Princess’ itineraries focusing on local festivals. 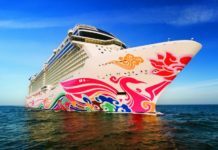 Take the 9-day Hokkaido with Nebuta Festival itinerary, roundtrip from Tokyo, that stops in Kushiro, Korsakov (Russia), Otaru, Hakodate, and Aomori, with late nights in the last two ports of call. In Aomori, passengers experience the summertime Nebuta Festival, with impressive colorful floats parading through the streets. Departure is July 26. The 9-day Spring Florida Festivals itinerary pays homage to the cherry blossom festivals in Aomori and Akita, and takes a detour over to South Korea to get a look at the Tonami Tulip Festival in Toyama. Departure date is April 20. For clients who might not be able to get away on one of the festival-focused itineraries (although we highly recommend these), but do have more time on their hands, recommend the 14-day Ryukyu Islands, Kyushu & Shikoku itinerary. It’s roundtrip from Kobe and cruises to Okinawa, Ishigaki, Taipei (Taiwan), Busan (South Korea), Nagasaki, Miyazaki, Kochi, and Tokushima. Departure is May 13. 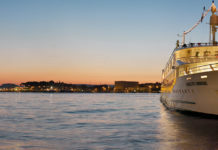 Princess offers an assortment of itineraries and departure dates, calling at about 25 to 30 ports of call throughout the country. For more information on Japan, visit us.jnto.go.jp. For more information on Princess Cruises’ Japan sailings, visit princess.com.